Delegating aspects of the cooking process will help conserve your energy. If possible, have your significant other or children assist with gathering the ingredients, chopping the fruits and vegetables, setting the table, etc. Complete most of the kitchen tasks in a seated position. 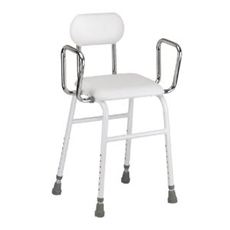 A perch stool (pictured to the left) will enable you to sit at the counter and provides arm support for changing from sitting or standing. Several pieces of kitchen equipment will ease the requirements of cooking. An occupational therapist can assist with identifying which items will most benefit you and allow for greatest independence in the kitchen. Below are examples of kitchen aids that may assists individuals who have limited coordination or strength of one or both hands. 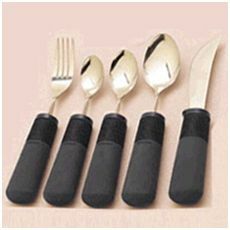 Utensils with large handles will decrease the amount of hand strength required to grip silverware. A built up handle can be added to your silverware by placing tubing around the handle. 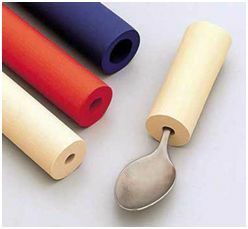 Utensils with built up handles can be purchased relatively inexpensively. Particular consideration should be given to the weight of the utensil. A weighted utensil is primarily recommended to reduce tremor. A light weight built up handle is preferable for individuals with decreased hand or arm strength. Alternative knives may ease cutting food. A standard pizza cutter which can be purchased at your local grocery store may slice certain foods with greater ease than a standard kitchen knife. 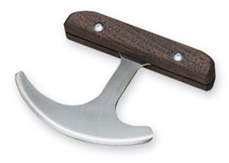 The rocker knife and right angle knife are designed for individuals who have weakness in their hand muscles. 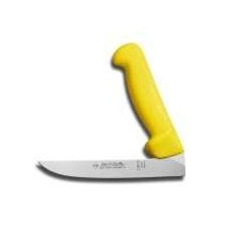 These knives will provide the greatest assistance when combined with the cutting board described below. 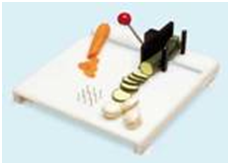 The adapted cutting board assists with holding food in place while it is sliced. The style shown here also holds jars or bottles in place to allow easier opening with one hand, and mixing bowls to assist with stirring. A similar solution may be created by putting stainless steel or aluminum nails through a standard cutting board and sanding down the tips with a metal file. Food can then be held in place by the nails. This alternative will not provide the stabilization for jars or bowls. Spring loaded or self-opening scissors will decrease the need to pinch or grasp bags or other items to open them. Self-opening scissors can be purchased at your local art store. 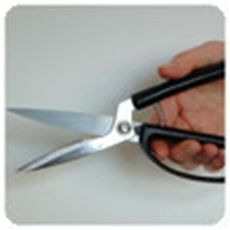 Self-opening kitchen shears can be ordered from online retailers. 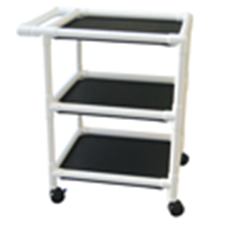 A rolling cart will assist with transferring dishes or cooking needs around the kitchen and dining room. They will also provide same assistance with balance, but caution should be used as a rolling cart does not replace a walker.